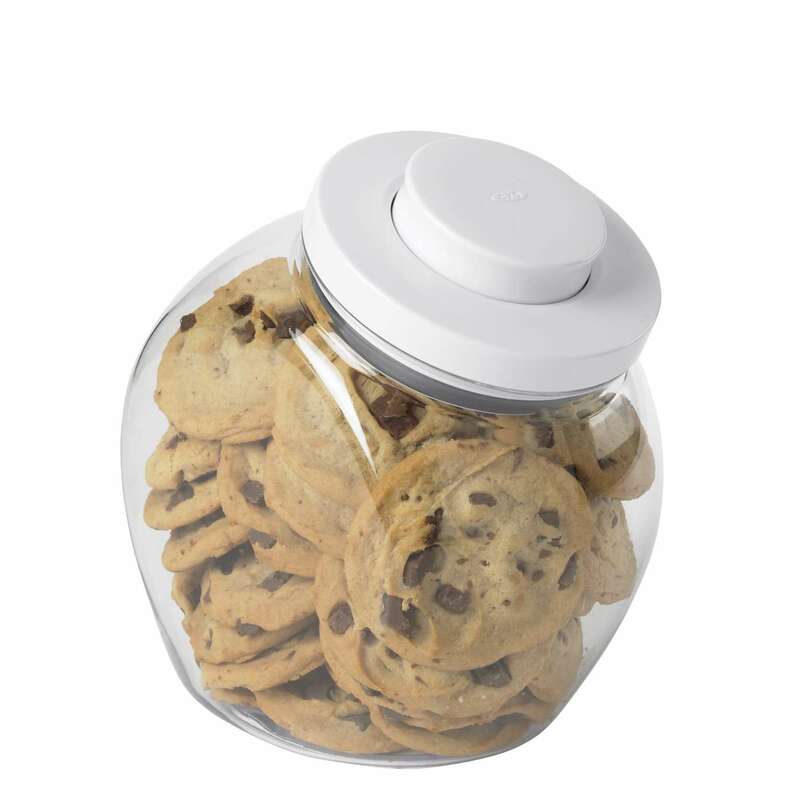 Our POP Jars have a unique pop-up button mechanism that creates an airtight seal with one touch. 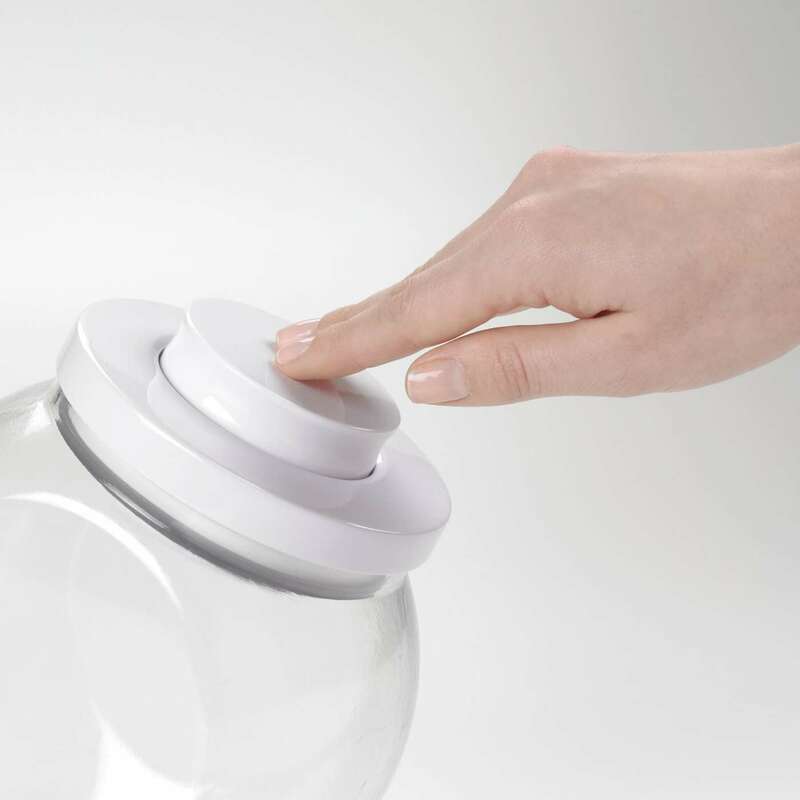 The button serves as a handle to remove the lid with one hand. 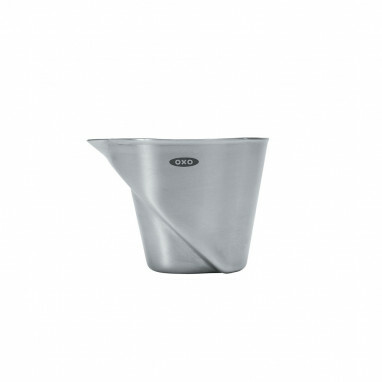 The large circular opening makes it easy to access contents. 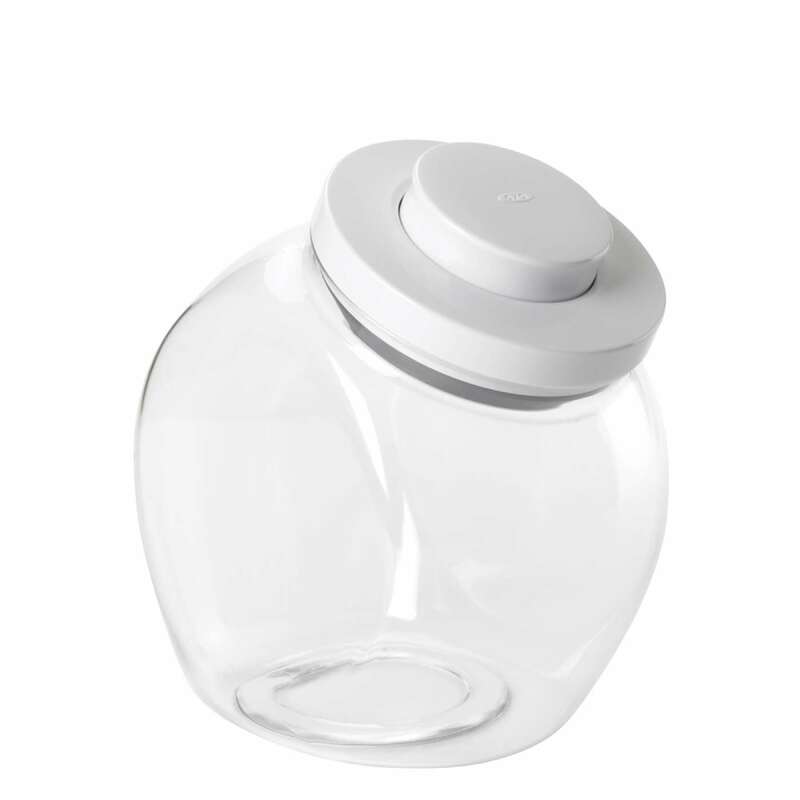 The jar has a flat back to sit flush against a wall and maximise capacity.